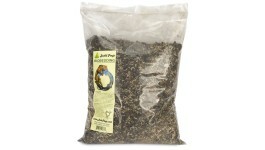 Josh’s Frogs is well-known as a supplier for poison dart frog keepers. What do you provide of interest to gecko keepers? We’ve been supplying quality reptile products almost as long as we’ve been specializing in poison dart frogs – since 2004! It’s a natural progression. Many of us (myself included) kept reptiles long before we kept frogs, and the audience is similar. Plus, the amphibian and reptile hobbies, much like the study of our beloved ectotherms, We now carry full lines of most major reptile brands (ZooMed, Exo Terra, Zilla, Repashy, Pangea, etc). In addition to that that, we also carry our own line of dry goods, including many products we tested and designed in-house. 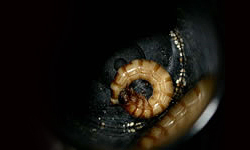 These consist of many bioactive and feeder insect supplies. We sell over a dozen different species of feeder insects, and plan to launch more new species this year. 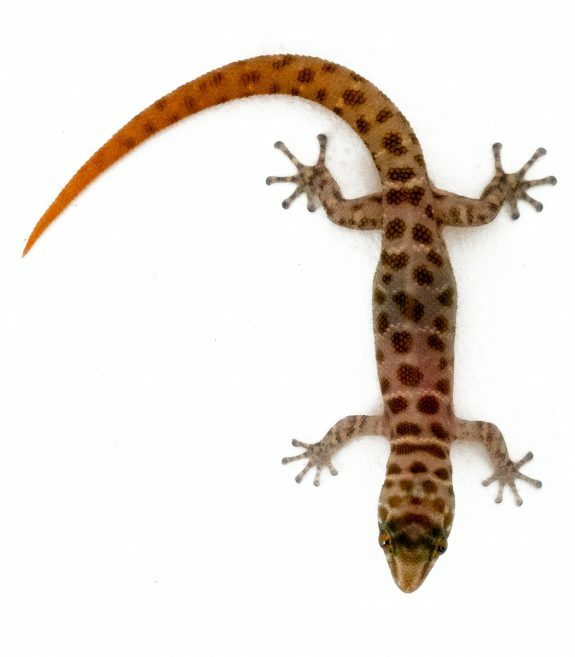 We also sell live plants, as well as frogs – and a whole boatload of geckos. What types of geckos do you sell? Is your choice of which geckos you sell informed at all by your initial interest in frogs? 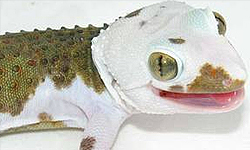 We sell a wide variety of geckos. 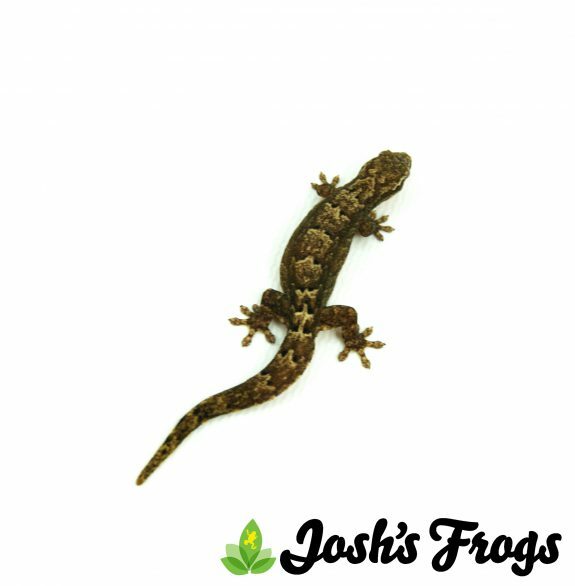 Our interest started with a focus on those gateway species that are oftentimes a first reptile pet (crested geckos, leopard geckos), but we quickly expanded to include species that are often kept set up in a naturalistic vivarium, similar to dart frogs. After that, the species we work with, like many things at Josh’s Frogs, are mostly employee driven, and we’ve expanded to a wide variety of microgeckos and desert species. Here’s a (mostly complete) list of what we’re currently working with. Most of these animals are actively breeding – 2019 is going to be a great year for geckos! What is your opinion about housing frogs and geckos in the same enclosure. Are there any frog/gecko combinations you recommend? In general, I’m against mixing species most of the time. There are some notable exceptions, though. One of the easiest to mention are housing mourning geckos (Lepidodactylus lugubrious) with larger species of dart frogs (Dendrobates). They have nearly identical temperature and humidity needs, and the mourning geckos will help clean up fruit flies the dart frogs miss. 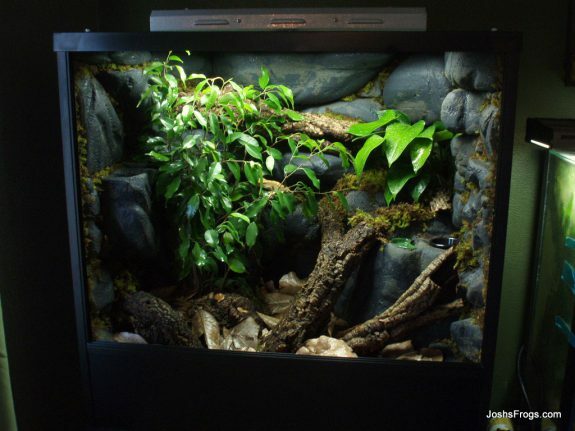 They will appreciate a bit more ventilation at the top of the enclosure (something dart frogs do not need), as well as the occasional feeding of a fruit based gecko diet. Some species of Sphaerodactylus can be housed in a large vivarium with poison dart frogs, if the enclosure is constructed to meet the needs of both animals – it’s not simply a matter of throwing a gecko into an existing dart frog enclosure. We’ll be setting up several demo tanks this year before we can recommend mixes to customers. I have successfully kept Phelsuma klemmeri with some Mantellas (colorful frogs from Madagascar) in a large, 3′ tall vivarium in the past. Both species were successfully breeding in the same habitat, although I eventually removed the P. klemmeri because I had a heck of a time catching babies! We are very interested in your “biobedding tropical bioactive substrate”. Can you tell us a little about it and how it differs from ABG? BioBedding Tropical was a passion project of mine, and the result of several years of trial and error. After talking to customers at shows, we noticed more and more people were purchasing ABG mix for use with crested geckos – something it’s not ideal for. I modified an old substrate recipe I had bred Uroplatus on in the past, then spent a lot of time running different ratios in vivaria with our yellow spotted climbing toads, which have similar humidity and substrate needs as crested geckos. BioBedding Tropical is what came out of it – a complete bioactive substrate that includes trace elements that substrates are typically lacking (and help keep springtails and isopods healthy). It also contains beneficial fungi to jumpstart the bioactive cycle. BioBedding takes a completely different approach to vivarium substrates than ABG. It’ll grow a majority of plants very well, but does a better job holding on to water and wicking it to the surface – this means it can’t be as heavily watered as ABG mix can, but BioBedding Tropical can be used without a drainage layer. I’ve even had many different species of gecko eggs successfully hatch out from BioBedding after being incubated in the enclosur. This year, we’ll also be releasing a desert (and possibly a dry forest/temperate) version of BioBedding that’ll be perfect for many other herps, as well as growing our offerings of clean up crew critters – those springtails and isopods that help keep bioactive enclosures clean. What are your hopes and plans for the future of Josh’s Frogs? I’m really excited for what the future holds. Our plan is to better serve customers with multiple shipping locations across the US, which will allow us to get goods to customers quickly for a lower price. It’ll also allow us to take advantage of different climates to breed a wider variety of animals, many of them outdoors. 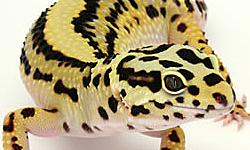 We’ll be expanding our reptile and amphibian breeding operations in order to meet retail and wholesale demands. One of our core beliefs is conservation through commercialization – the idea that we can help reduce the demand for wild caught animals by producing healthy, captive bred animals in country. We also hope to expand our direct conservation efforts – right now, we donate $5 to Operation Mitsinjo for every mantella we sell. We also plan to continue our work with zoos and public aquaria around the country. In the future, we hope to be able to partner with more conservation groups and further help link zoos, conservation organizations, and the pet trade. In order for our beloved hobby to move forward, we have to be more responsible about it. I’ve worked for Josh’s Frogs for over 11 years now and I’ve never worked with a more passionate group of people. Even though only about 1/3 of my coworkers work directly with animals, everyone uses their skills, be it marketing, leading, answering a question or taking an order for a customer, carefully fitting that order in just the right box, or creating the perfect introduction for that YouTube video, to further the primary mission of Josh’s Frogs – to help connect people with nature. This was supposed to be a part time college job, and I still wake up excited to go in to work. It’s not often that you get to stumble into a lifelong calling so early in life, and I’m incredibly fortunate. Who wouldn’t want to be in a great environment, surrounded by thousands of critters? Check out Josh’s Frogs for yourself. Use the coupon code GECKOTIME at checkout) and get $5 off the order through July 31, 2019. One use per customer, excludes gift cards.